CANBERRA - What on earth is going on near the roof of the world? Since mid-June, the world’s two most populous countries have been eyeball to eyeball in a tense military standoff where their borders meet up with tiny Bhutan. The narrow Doklam Plateau is a 90-km strip at an altitude of over 4,000 meters that China claims as part of Tibet. Bhutan insists it is the rightful claimant. For decades its foreign policy has been “guided” and its sovereign interests protected by India. The 1962 syndrome seems alive and well in both China and India. Fifty-five years ago they fought a brief war over a border dispute. The complete rout of India was a bitter humiliation that is deeply scarred on the national collective consciousness. In 1979 Chinese troops attacked and threatened to teach Vietnam the same lesson as India in 1962 but got a bloody nose instead. Beijing is at it again, warning India not to forget the lessons of history on pain of a repeat. The mix of internalized humiliation on one side and chest-thumping bravado on the other is a dangerous cocktail, involving two proud nuclear-armed neighbors with a billion-strong population, each with a rich and storied history and civilization. But 2017 is not 1962 when neither had nuclear weapons and now both do. As India has discovered vis-a-vis Pakistan, paradoxically this confers an asymmetric advantage on the militarily less powerful neighbor. The risk of spiraling escalation that goes nuclear induces caution, tempering the instinct to inflict military punishment on the perceived weaker country. It also attracts the world’s attention, for a nuclear war would be catastrophic for the entire planet. This provides a vivid reminder of the strategic benefits of the recently adopted nuclear weapons prohibition treaty that was opposed by both China and India (as well as Japan). Second, the street-smart Narendra Modi is no Jawaharlal Nehru. In acquiescing to China’s takeover of Tibet in 1951, Nehru saddled India with a permanent strategic disadvantage vis-a-vis China. Easily flattered to deceive, the vainglorious Nehru suffered delusions of global moral leadership and, encouraged by courtier generals, engaged in reckless adventurism to provoke the 1962 disaster. 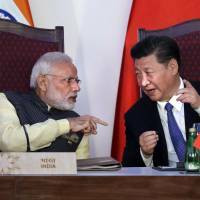 For all his tendency to talk big and act small, in this crisis Modi has held his tongue and it is the Chinese side that has issued wild inflammatory ultimatums against India’s measured and circumspect statements. Still, India has given no indication of backing down from its firm defense of Bhutan’s claim and worse, it has a history of inflexibility and ideological rigidity on territorial disputes. The recent package settlement with Bangladesh was a welcome departure. Third, China economic position is a totally different from 1962. Paradoxically again, China has a lot more to lose today. A war with a nuclear-armed neighbor would disrupt China’s development. Beijing is also at the risk of simultaneous land and sea border quarrels with many neighbors from Northeast Asia through the South China Sea (plus growing tensions over North Korea). Diplomatic costs quickly begin to mount to negate decades of patient diplomacy that emphasized China’s peaceful rise. The problem may be that China lacks a historical, philosophical or literary tradition of acting as a great power in a system of great powers. Beijing will have to come to terms with the fact that India is too big to be a tributary state. Perhaps China was trying on land the same strategy of incremental expansion, reclamation and construction of dual-purpose facilities that has worked in the South China Sea. But disputed land areas are an entirely different proposition. Certainly Bhutan alleges and India supports charges that China attempted to alter the status quo by stealthily constructing roads. Maybe the ferocity of Beijing’s reactions is due to being caught out. Outsiders have difficulty assessing competing claims. Amidst heightened nationalist passions, China does not permit free expressions of opinion. The hard-line Global Times has led the testosterone charge against India. But the Indian press has not been more restrained in its breathless coverage of China’s perfidy. But at least there are the occasional Indian voices noting some merit to China’s version, both within India and outside. India’s army chief, Gen. Bipin Rawat, was less than helpful in saying publicly, a week before Doklam erupted, that his forces could fight a 2½-front war. Unbelievably for a country with nuclear arms, a million-strong military and possibly the world’s largest purchase of armaments, India has a part-time defense minister. The previous defense minister in the Congress government was so determined to avoid bribery scandals that he refused to sanction essential military purchases. Meanwhile, with all key foreign policy decisions centralized under Modi, his able foreign minister is reduced to being the minister for consular services, rescuing Indians caught in difficulties abroad. There have been more scandals in relation to India’s defense forces involving generals in the last five years than in the previous 50. India’s social cohesion is also under greater threat under the Modi government, with minority groups feeling under siege. A war with China would not merely test India’s military power, defense preparedness and social cohesion; it would also be a major setback to Modi’s goal to make India a manufacturing and information technology-led industrial powerhouse. The legal issues in the dispute are complex and technical, involving treaties between Britain and China in 1890, pacts and understandings between Bhutan and India, the history of Bhutan-Tibet relations and China’s suzerainty of Tibet. The narrow geographical corridor is strategically vital to India for access to its northeastern states, as well as its credibility as the de facto guarantor of Bhutan’s sovereignty. Doklam is less strategically vital to China than other disputed sectors along its 4,000-km border with India, but perhaps Beijing wants to deflate uppity India’s growing military links with the U.S., Japan and Australia. China might also be miffed that India boycotted its recent Belt and Road Initiative summit. And it may want to signal to small countries in the neighborhood that the costs of siding with India are unacceptably high. All things considered, the standoff seems to be a lose-lose proposition for both powers. That might well prove the reason why it ends without bloodshed. 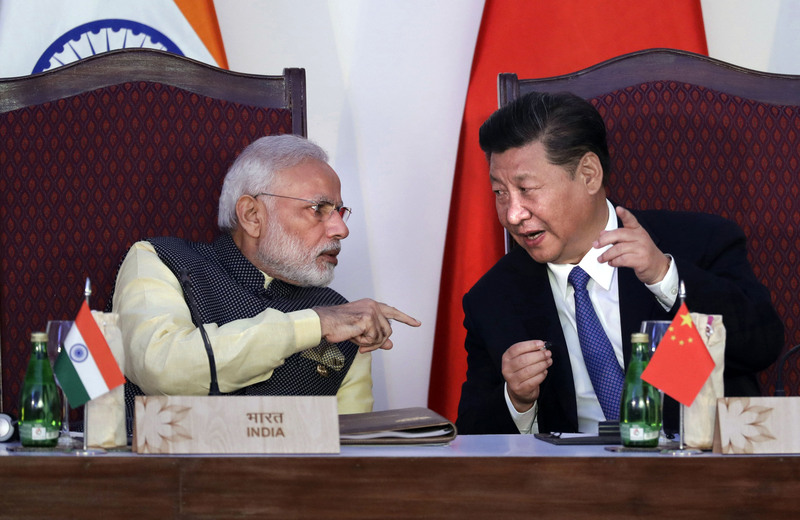 But first both sides need to de-escalate the stakes (territorial sovereignty for China, national security for India) and rhetoric in favor of diplomacy.